Despite Stats SA's announcement that SA's unemployment rate rose to 27.5%, the rand remained stable. The rand closed at R14.55 to the greenback on Tuesday afternoon, averaging between R14.55 to R14.73 for most of the day. This after TreasuryOne reported earlier that the Chinese yuan had hit its weakest level in 10 years and had dragged other emerging markets with it. Despite the Stats SA announcement later in the day that SA's unemployment rate rose to 27.5%, the rand remained stable. U.S. stocks reversed early gains as investors shook off disappointing earnings from General Electric and tech shares reversed a sell-off despite fresh data raising concerns about the strength of the housing market. Treasuries fell and the dollar rose. 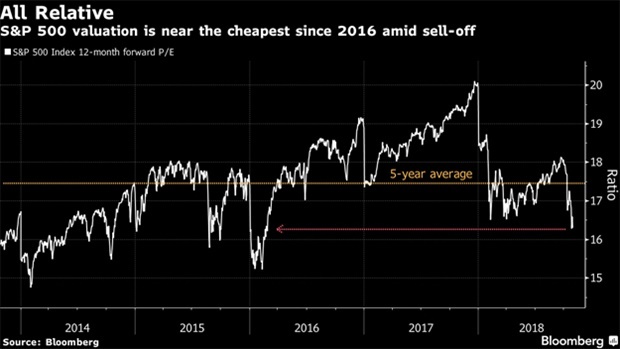 The S&P 500 Index climbed, although its drop from a September record still hovers near 10%, putting it on the cusp of a correction. The Nasdaq 100 Index clawed back earlier losses, although bellwethers Amazon.com and Netflix tumbled. GE rallied after sinking to the lowest in nine years after its results disappointed. Take-Two Interactive surged on strong game sales, while Chesapeake Energy tumbled on deal news. Facebook reports after the markets close. OVERVIEW: U.S. equity futures advanced, European stocks fluctuated and Asian shares rallied as investors turned their focus to a slew of company results and the next phase of a trade standoff between America and China. Treasuries fell and the dollar rose. Contracts for the S&P 500, Nasdaq and Dow indexes all climbed in the European session. They trimmed their advance after General Electric earnings disappointed, but upbeat results from the likes of Pfizer, Coca-Cola and Mastercard settled nerves. The Stoxx Europe 600 Index struggled to sustain momentum from Asia -- it opened higher after good earnings for BP and Volkswagen, but corporate results were mixed overall and it swung between gains and losses. The euro edged down after underwhelming economic data.The MSCI Asia Pacific Index halted a five-day losing streak after President Donald Trump held out the possibility of a trade deal with China, even as his administration prepares for a possible expansion of tariffs. China’s stocks climbed as authorities said they’d encourage long-term funds to invest. 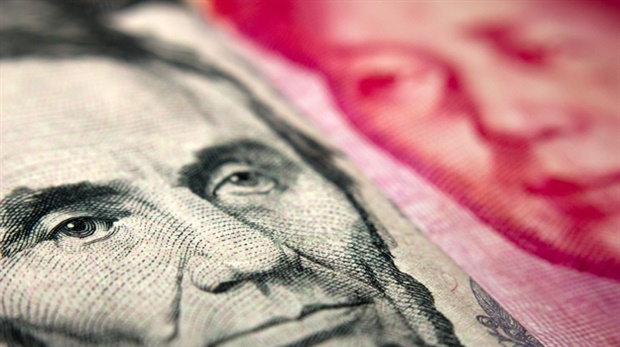 The yuan was little changed after earlier hitting its weakest against the greenback in a decade. Along with corporate earnings releases, U.S.-China trade talks are set to be a focus for investors in coming weeks, with a looming Trump-Xi meeting at the G-20 summit scheduled for next month in Buenos Aires. Rand shows little reaction to worsening unemployment data. But the rand showed little reaction to the worsening statistics. "In spite of these disappointing figures, the local currency market is largely being overshadowed by the global trade war driven by China and the US," said Bianca Botes of Peregrine Treasury Solutions in a note to clients. The local currency was trading at R14.69/$ at 13:41, after opening the day at R14.72/$. The JSE tracked the global negative sentiment with the All-share index giving up 0.68% to 50 972 points. The Top-40 index lost 0.8% to 44 747 points. SA unemployment rate rises to 27.5%, official figures show. The rand trading at R14.67 to the US dollar. 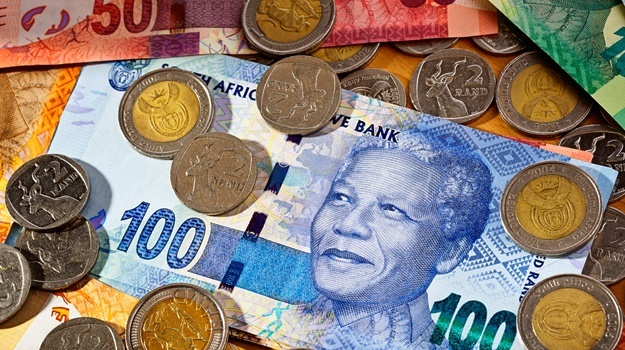 Although trading 0.6% firmer from its opening level on Tuesday morning, the rand and other emerging market currencies remain vulnerable amid a speculative report that the US is preparing to hit China with fresh tariffs on consumer goods. In Asia, stock markets reversed earlier losses after President Donald Trump said he believed he can "make a great deal with China", easing anxiety over economic growth amid an escalating trade war. The reaction in the rand, to trade above R14.70 against the US dollar on Monday, shows how vulnerable the local unit and other emerging market currencies are to any news from the US and dollar driven movement, said Andre Botha, Senior Dealer at TreasuryONE. He said the sentiment is fickle at the moment and any negative emerging market news could be the catalyst for EMs to run. "The rand is not the only EM currency that was under strain with the Mexican peso and the Brazilian real 3.5% and 3.1% down respectively. The selloff in the other emerging markets also had a negative impact on the rand and caused the reaction to be exaggerated." Botha added that the rand was still under the dark cloud of the rating agencies and any news from them in the next couple of months could cause a lot of volatility in the South African currency. Most Asian markets rose on Tuesday as investors were cheered by Donald Trump's belief the US and China could reach a "great" trade deal, which helped ease concerns over a report he is preparing to lump tariffs on all Chinese goods, reports AFP. It cited unnamed sources as saying a list is being drawn up for a December announcement to hit another $267bn of goods with levies. With $250bn already being targeted, the move would mean all China's shipments to the United States are taxed. Beijing has said in the past that it will retaliate against any measures, putting the world's top two economies on course for an all-out trade war. However, in an interview aired later on Fox News Trump said that he thinks he can "make a great deal with China", though he tempered this by saying Beijing was not yet ready. "The yuan's move is in line with the degree of trade tension," said Ben Kwong, executive director at KGI Asia. "If there's no more hope for any resolution, then the yuan weakness will continue to be a trend." Tokyo closed 1.5% higher thanks to a weaker yen, while Sydney jumped 1.3% and Seoul rallied 0.9%. The Goldman Sachs Group says that “fear” has made a comeback and gold is benefitting as stocks slide and investors fret more about the possibility that the US economy may tumble back into recession. Master Plastics, JSE-listed maker and supplier of among others plastic products, undercover farming nets and structures and geotextile fibres for concrete reinforcement, on Tuesday warned that industrial action will continue to adversely affect production capacity and constrain supply. The company cautioned in a note to shareholders that the industrywide industrial action by representatives of the National Union of Metalworkers of South Africa (NUMSA), which commenced on 15 October 2018, is still underway. “This, together with the industrial action at the Company’s Randfontein operation, which commenced on 19 September 2018 and is still ongoing, will continue to adversely impact production capacity and constrain the ability of the Company to fully meet all of its customer requirements over this period,” the company said. Locally the focus will be on unemployment figures due for release today. The situation remains dire and an unemployment rate of 27.3% is expected. European GDP, business climate and economic sentiment will set the tone for the euro dollar cross rate later today. Any weakening by the euro will be tracked by the rand. Peregrine's Bianca Botes expects the rand to trade in a range of R14.55 to R14.78. China’s yuan slid to the weakest level since May 2008, moving closer to the key level of 7 per dollar, as the central bank cut its daily fixing and on signs that a trade war with the US may escalate. The Chinese yuan has hit its weakest level in 10 years and is dragging other emerging market currencies with it. The dollar is holding on to the firmer levels against both the euro and pound. Talk of further US tariffs on China forced US equity markets down, however Asian markets are higher after Trump indicated a possible deal with China. The S&P 500 fell as much as 11% on Monday from its all-time high before paring the drop in the final 15 minutes of trading. “Out of all the fears out there, that’s the one [US-China trade war] sticking most in peoples’ minds in terms of a reluctance to believe the economy is going to continue to be strong,” Bloomberg quoted Chris Zaccarelli, chief investment officer at the Independent Advisor Alliance. 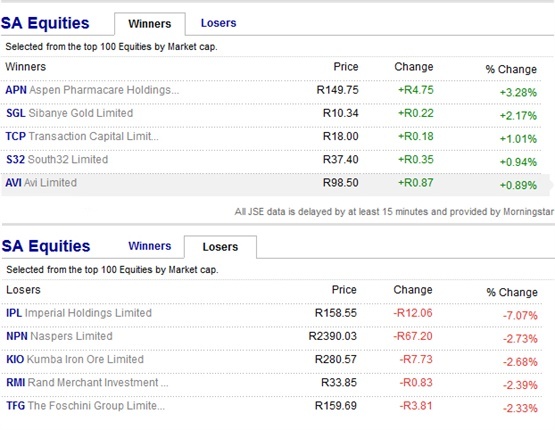 Good morning, welcome to Fin24's live markets blog. The rand recovered some of its overnight losses, but was still trading some 12 cents weaker than its previous local session close as the dollar rallied on a report that the Trump administration was set to press on with its trade war against China. The rand traded flat for the most part on Monday, but it was feeling the pinch during overnight trade. "In early December the US is expected to announce tariffs on all remaining imports from China, putting trade wars back onto centre stage and giving the US dollar a boost. 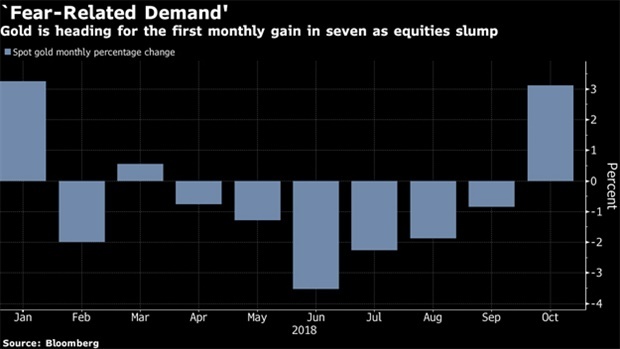 The greenback has also ramped up on the back of strong economic data, such as rising consumer spending," commented Bianca Botes, Corporate Treasury Manager at Peregrine Treasury Solutions on Tuesday morning. In Asia, markets mostly fell with Hong Kong and Shanghai stocks sinking following a report that the White House is preparing to impose tariffs on all its Chinese imports, throwing the trade war back into the spotlight. In the US, Wall Street stocks finished decisively lower after an early rally fizzled and was replaced by selling amid lingering worries over slowing earnings growth and anxiety about US elections.